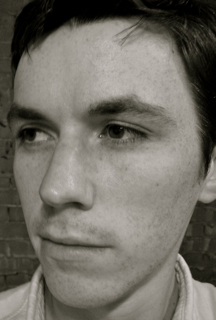 Adam Peterson’s short story “Pontiac” appears in Midwestern Gothic Issue 2, out now. About 10 years. Unless you count the Tarantino-esque independent film script I wrote in the 9th grade which, um, you shouldn’t. Until recently, my life involved a complicated dance between Nebraska, Kansas, and Iowa. Or I could just say this: my connection is such that I have theories about how ‘The Plains’ both is and is not the Midwest. I mean, we totally are, but sort of like in the same way Quebec is Canada. We’d start a separatist movement if we weren’t so damn nice. For a long time, I wrote against it. When you’re a kid in Nebraska, you’re aware of where your state ranks. I had a vague sense I had to either embrace it and be Willa Cather or go the other way and never acknowledge place at all. For a time, I did both at once. Well, not Cather, exactly, but realist stories with a strong sense of place versus, I don’t know, absurd stories set in space or wherever. I quickly learned my best stuff is probably somewhere in between. My guess is that many Midwestern writers on the Eastern side (which is to say the Midwest proper) look to the coast while those of us from the Plains look west. There might then be a bit of a schizophrenic tendency between urban/western, future/past, that prevents any unified identity from congealing. Or, and this is a completely different theory, it might just be the Midwest buys into its “real America” credentials a bit too much. Roth plays in Peoria, etc. I’m fine with it. Or at least I don’t care about it one way or the other, really. Some people seem to be really good at it, and as someone who basically treats social media like a middle school dance—I’m there, please like me, I love you—I admire this. I mostly just make jokes about werewolves. Probably The Wind-Up Bird Chronicle. No food? I’m pretty good at not eating. Can’t imagine Kurt Vonnegut would disappoint. I have a blog at a-peterson.blogspot.com and I’m on twitter—shamelessly promoting my own work—here: twitter.com/AdamWPeterson.